With a wide range of garden tools for the big or small job. Hand Tools to Ride-on Mowers to a Rotary Hoe. When the job is for the big machines. Escavators to Rollers to the multi purpose Kanga or just a big generator. Power Tools are an important part of the job around the house or on the work site. 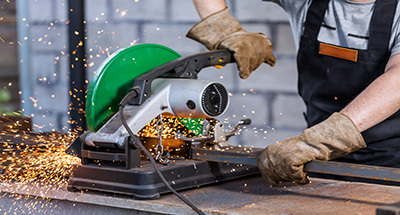 Here at Murwillumbah Hire we supply power tools for every job. When you need to go up high safety is a must. 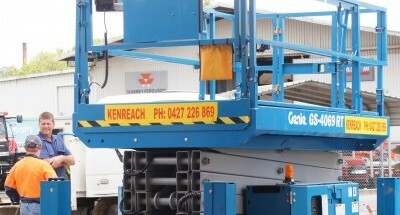 Murwillumbah Hire will supply the Elevated Platform for the job. Trowels, Screeds, Cutters and Jack Hammers, and more. We carry a vast range of concrete work equipment. We've got everything you need to get it done right. Catering for a party can be difficult. Chairs, Tables, BBQ's, Heaters, Eskys and much more. Murwillumbah Hire can help. We aim to give the best service and advice to all our customers we stock a wide range of tools and plant,if you can not find the right tool for your job give us a call or drop us an email we will do our best to find the right tool for the job. We have been in the business for many years and have many satisfied clients,we know our clients and we know our tools and plant equipment. 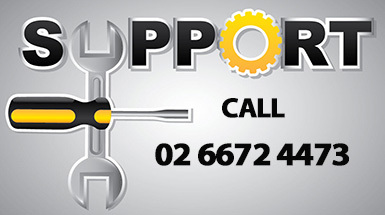 Our team offer top class support to all our clients hiring small tools or large plant,we know that if we get the right tool for your job the client is happy and will come back time and time again. Ken and the Friendly staff of Murwillumbah Hire will be happy to take your call.